Once you become a homeowner, you have many opportunities to leverage the equity in your home as a source of money when you need it. Although some insurance policies, like specific life Insurance, provide opportunities to borrow money from your life insurance, many people turn to the idea of a reverse mortgage when they are in their 60's or older, as a way to take some cash out from what they have invested in their home. You can take a reverse mortgage once you are 62 years old. A reverse mortgage takes the equity in your home and uses this to create an income for you in the form of one or many payments. The payments are based on a portion of the equity of your home. It can be a slow and steady way to take the money that you invested in your house out as cash. It sounds like a good idea to many people, but there are a lot of potential issues with the reverse mortgage that you should become informed before signing off on this kind of arrangement. If the pros outweigh the cons of getting a reverse mortgage and your personal situation make it favorable for you, then you may be looking into reverse mortgage insurance options. 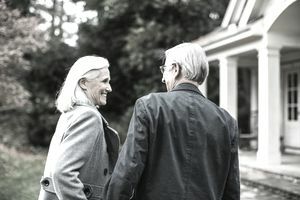 Before deciding on the kind of reverse mortgage you want, you should consider the various options and make sure to determine if a fixed or variable interest rate works better for you, as well as whether or not you would benefit more from a line of credit option, lump sum payment or "tenure" option which provides the sum in installments. Consumer information sessions can provide you with non-biased information that may help you in your reverse mortgage decision process. In many circumstances when signing for a reverse mortgage, you may have right of “rescission.” Depending on the mortgage, this may allow you to cancel the mortgage if you do so within 3 days of the signing. Before making any decisions be sure and explore all your options. Homeowner insurance adds a clause to the policy naming your lending bank or mortgage provider as a named insured on the policy. The reason for this is so that if the house burns down, or the building is damaged, and you still owe money on the mortgage, then the mortgage provider will have to sign off on any claims cheques received for repair of those damages to ensure that the building is repaired and rebuilt. This is to protect the lender's interest in the property. Until you pay off your mortgage, they are still part owners in the property. Mortgage insurance or Private Mortgage Insurance covers the sum of the loan owed to the mortgage lender. You can purchase mortgage insurance through the lender, or you may be able to opt for term life insurance instead. Depending on your situation, an existing life insurance policy with sufficient value to cover your debts should always be reviewed with your financial advisor before deciding on purchasing more insurance. A financial planner can help you review what your needs are based on your situation. Home Equity Conversion Mortgages (HECMs) which are federally-insured reverse mortgages will include a mortgage insurance premium (MIP) at closing and annually. Home equity is usually a good bet for the reverse mortgage lender, however, there are still risks beyond the control of the lender and borrower that may put the value of the loan at risk. A common reason is a decrease in the value of the home. Since in a reverse mortgage the lender is paid by the value of the house when it is sold, if for some reason the value of the property decreases then the lender would not get all of their payment and would then use the reverse mortgage insurance that the homeowner paid for upfront in the original loan fees to obtain the rest of their payment. Taking a reverse mortgage is basically deciding to use the equity you have built in your home to start financing your retirement, or other aspects of your life, Remember this is reducing your estate value and is not your only option. If you are truly strapped for cash, the reverse mortgage may not be able to solve all your problems since you will still have to do property maintenance, and will still be paying other homeowner costs. Many organizations offer helpful information and resources to help you look at your options. Besides consulting financial advisors and trusted professionals, here are a couple of resources for you to check as well: The Consumer Financial Protection Bureau and Reverse Mortgage Education Project.